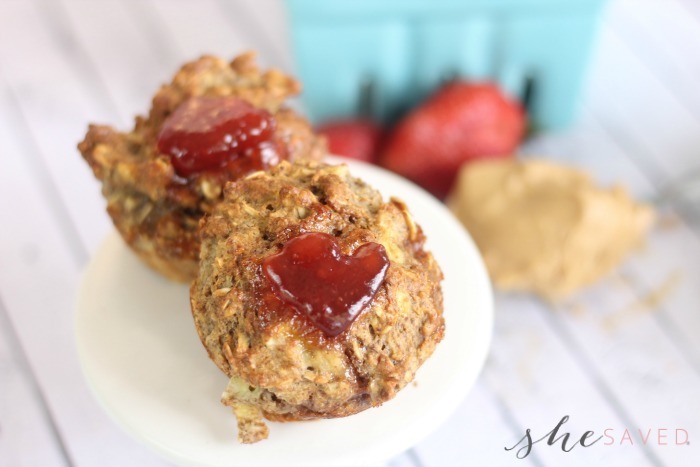 I recently shared with you one of our favorite snack recipes, my PBJ Protein Energy Bites recipe. 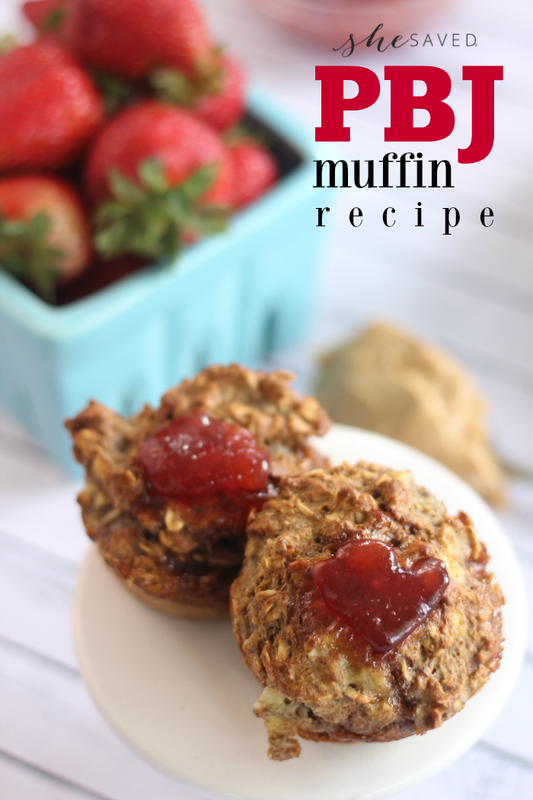 It’s a favorite with my family, especially during a busy sports season, and due to our love of all things PBJ, I’m also sharing my Protein Packed Peanut Butter and Jelly Oatmeal Muffins recipe, also referred to as the PBJ Muffin Recipe! You can never go wrong with PB&J. One thing that I never outgrew from childhood was my love for PB&J Sandwiches. 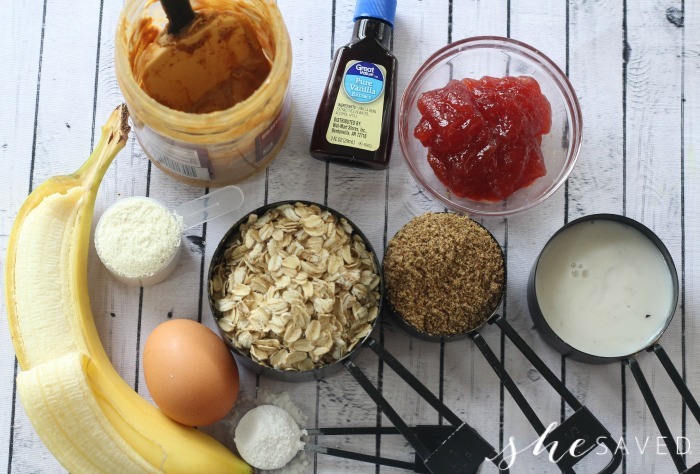 You might also have seen my Grilled Peanut Butter and Jelly recipe. (honestly… so good!) That sweet gooey combo is the stuff that childhood memories are made of, but obviously… not the healthiest option. I have come up with a delicious way to enjoy the flavors in a much healthier way, right in our morning oatmeal. Not only are these yummy fresh right out of the oven but they also freeze beautifully to make school mornings so much easier and nutritious. Give them a try and see if your family loves them as much as mine does! Spray a muffin tin well with nonstick cooking spray. Mash up your banana well first using a fork, it’s hard to mash it up with all the other ingredients. Place all the ingredients except for strawberry preserves/jam in a large bowl and stir until well combined. 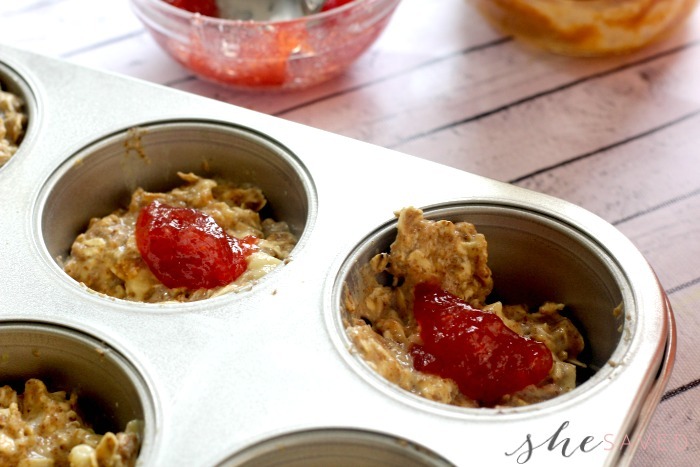 Scoop the oatmeal mixture to fill your muffin cup halfway. Add a teaspoon of preserves. Top with more oatmeal mixture up to the rim, you don’t have to worry about them overflowing, this recipe barely rises. Add another small scoop to the top if you wish or you can wait until they come out of the oven and add a fresh scoop when they are warm. Freeze your muffins on a tray until solid and then place them in a freezer bag to store for up to 6 months. Heat them up in the microwave when ready to eat. Mash up your banana well first using a fork, it's hard to mash it up with all the other ingredients. 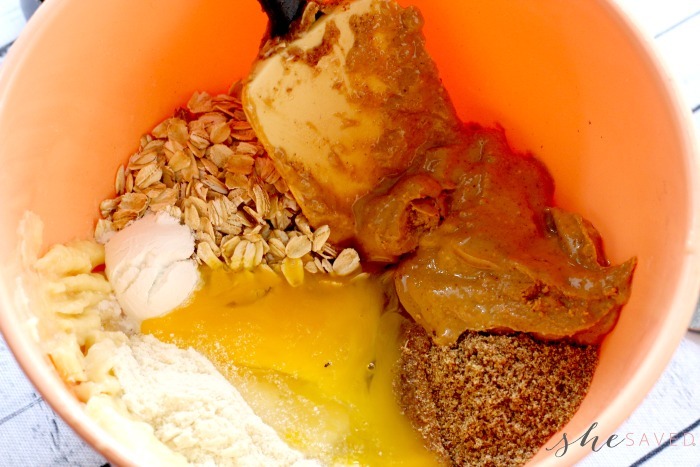 Top with more oatmeal mixture up to the rim, you don't have to worry about them overflowing, this recipe barely rises.